When we decided to open a space at VI Star in Little Italy, we knew we had to design a set of letterpress coasters for our new neighborhood. And here they are! 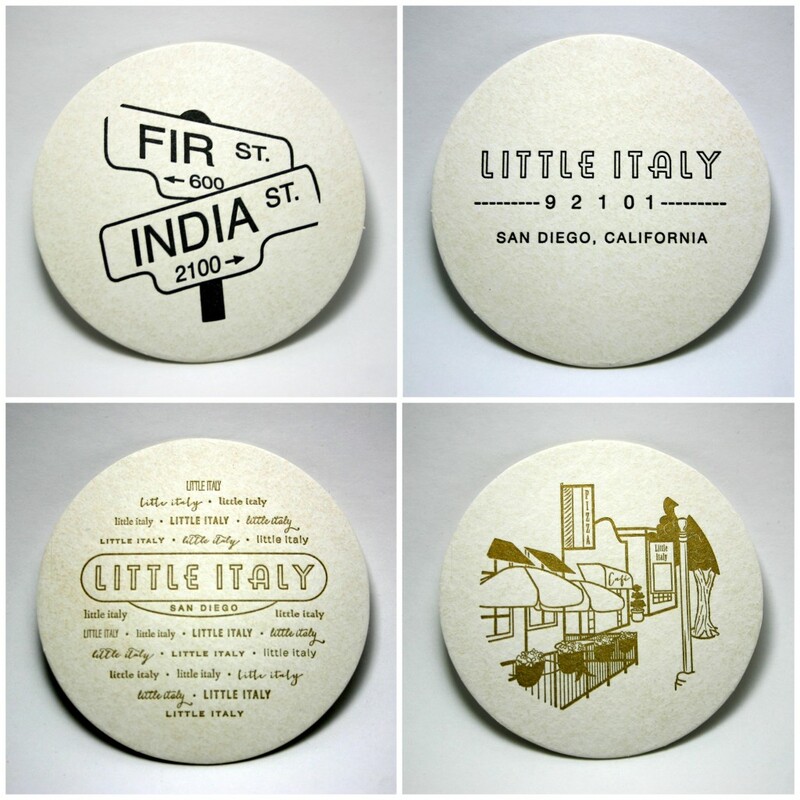 Inspired by the iconic Little Italy sign and its sidewalk cafes, we came up with 4 designs to represent San Diego’s Little Italy. Printed in black and gold letterpress, the set comes with 100 coasters (25 of each design) and is sold exclusively at VI Star.